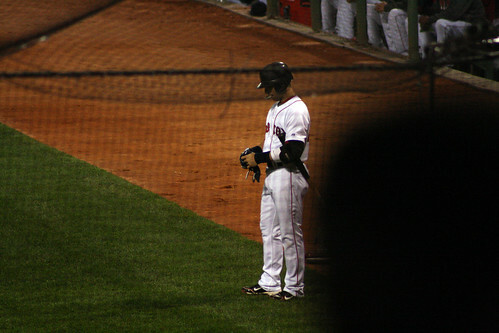 Here is Fenway, standing for Aceves, moments before That Thing Happened. It had been a nice, neat little game up until the eighth inning; two quick runs had crossed the plate for the Red Sox in each of the first two innings, and while a fumble by Kelly Shoppach had allowed a Twins run across, Clay Buchholz left the mound with a quite respectable line. Andrew Miller came on to replace him. As Andrew Miller issued a walk to open the inning, I amended the statement: "We're Andrew Miller away from winning." "And there may still be six outs by the time he's done," added Hunter. He turned out to be correct. A few minutes later, on came Alfredo Aceves with the bases loaded. He is supposed to be our closer, but with inherited runners is worse than league average; true to form, he allowed the tying run to score on a sacrifice fly. But he let no more runs across, and so there was still plenty of hope heading into the bottom of the inning, as Pedro Ciriaco stepped to the plate in place of Ryan Kalish. On the second pitch he saw, the svelte Ciriaco belted the ball into the Monster seats, a no-doubter from the moment it left his bat, and the triumphant roar of Fenway rose with the ball into the night. It's a mistake to do this, but immediately I assumed the game's narrative would come to an end. 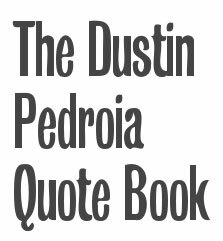 Sure, there was the insurance run courtesy of Cody Ross and Dustin Pedroia, but that would be essentially a tasteful garnish setting off the main dish. And sure, there was another half-inning, at the least, to go, but I had made up my mind. I think many of us had. Ciriaco's heroics were to carry the day; the rest was just formality. Hunter was a bit more reserved about the whole thing. "It's a good thing they got two runs, because Aceves is going to give up at least one," he said. "And he'll probably end it with a man on third and a full count." ...and then Mauer would jolt a homer of his own into the Monster seats, this one a three-run job, putting the Twins ahead, 6-4. Some people screamed. Overall, the sound of the crowd became a rueful howl as the ball sailed over the outfield. I gasped. Clapped a hand over my mouth. For all the team's struggles this season, I still couldn't quite believe what I was seeing. But, well, that's baseball. You've got to throw it over the plate and give the other man his damn chance. The low point of the game for me would actually come a few minutes after Mauer put the nail in the coffin. Between innings, as half the remaining crowd filtered out and the rest of us stayed out of some sense of duty, or paralysis in the face of what had just happened, or both, "Shipping Up to Boston" started blaring out of the PA system. The big screen started cranking out propaganda. You could even hear whoever was operating the PA system turn the volume up a little louder, as if cranking it to 11 would encourage Sox fans to get to their feet and start losing their minds, believing in the comeback. In the stands, most people exercised their right to remain silent. 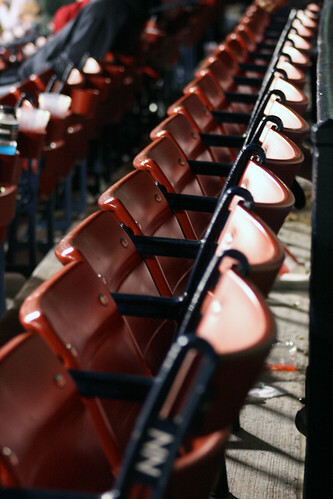 It was a sad moment, not because the Red Sox were losing the game, but because it felt like the disconnect between the franchise and the fans hadn't been bigger during the HWL era. "Shipping up to Boston before bottom of 9th?" Tweeted Joe Haggerty, summing things up succinctly. "Supposed to remind everyone Papelbon doesn't live here anymore? I'd say we just saw the evidence." There was a time when this ownership had this whole town, myself included, swallowing cornier treacle. Since last September, though, some people's patience with blithely blasting "Shipping Up to Boston" or "Tessie" (or "Sweet Caroline") while Rome burns has been wearing thin. It felt, in that moment last night, like some spell cast by the marketing wizards under Dr. Charles Steinberg had been definitively broken. Many of us were still there, at least physically, but on this particular evening, we weren't going to be playing along. 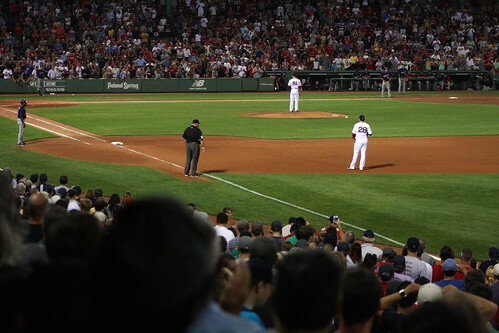 When the fourth inning began on a sweltering evening last night at Fenway Park, the game between the Red Sox and the Marlins was, well, still a game. 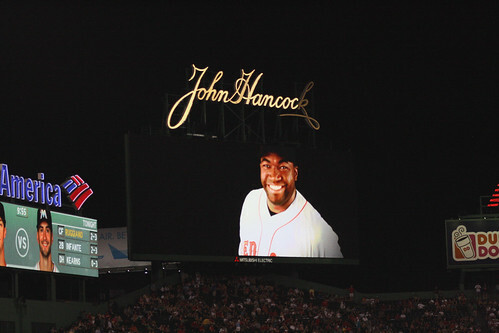 Before a single out had been recorded in that fourth inning, though, the contest was all but unquestionably in the bag for the Sox, thanks mainly to the man whose smile is pictured lighting up the ballpark above. It used to be Manny whose presence at the plate would send the Fenway audience into hysterics; now his old friend has fully taken over the mantle of setting the faithful a-jangle with his every RBI opportunity -- and when he stepped to the plate that inning with the bases loaded, the place was more than aflutter. It was pandemonium. People were on the edges of their seats, the heat momentarily forgotten. Papi fouled off one pitch, and then connected with the next, sending it screaming out toward the right field foul pole as the crowd leapt to its feet. Grand slam. 11-4 Red Sox. As Ortiz trotted the bases, he gave Marlins third baseman Hanley Ramirez a flippant little salute. An inning later, for a few moments, there was the possibility we might witness the same feat twice in back-to-back innings, as Papi once again stepped to the plate with the bags juiced. He would strike out (and anyway, Nick Punto scampered home from third on a wild pitch during his at-bat, de-loading the bases), but the situation alone ensured that a sweat-drenched crowd was risking heatstroke to get their money's worth. Years from now, those moments -- moments when everyone's problems, the team's included, were far away -- will be what I remember, not whatever Buster Olney or David Ortiz said about the clubhouse, or what the team's record was. These are the things I care about, that I treasure: the cheers as Big Papi approached from the on-deck circle, bat under his arm. His spit and clap, and his slow, hypnotic settling into his stance. Sweat pouring down everybody's faces. Then, a WHACK!! a rising roar, and the ball flying out over the field, into the waiting arms of the fans beyond the Pesky Pole. Something to take your mind off the pain of the last two contests for the now-officially-flailing Red Sox. It's an old trope by now, but the results of this series will have some fans wishing that the Red Sox could have saved some of their fourteen-run onslaught Monday night for the next two games. 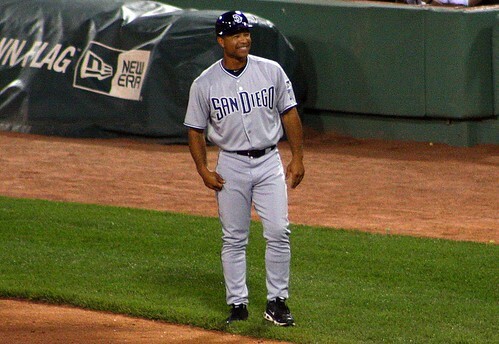 Selfishly, though, I'm happy to have been in attendance for the blowout win, which also marked another return by DAVE ROBERTS to the city where he'll never have to buy a meal or a drink. I know it's been a while since I rapped at ya, to quote Onion scribe Jim Anchower, but I did attend one of the sweep games at the hands of the White Sox this week, the one that was probably in the most contention overall, on Tuesday night. I also had some great field box seats thanks to my Dad, right near the visitor's dugout, so I was able to get up close and personal with the inimitable Ozzie Guillen. It was a nice distraction from the debacle on the field. A selection of photos from the complete set below the jump. I've said before that I hate "here's why I haven't written" posts. When I have time to write, I usually don't want to waste it writing about why I wasn't writing before, because it's usually for frivolous reasons everybody is dealing with and nobody wants to hear about. But in this case, the length of my disappearance while some major stuff was going down for my teams, as well as the fact that I lack for content to just pick back up with sans preamble -- games watched, articles read, analyses completed, other blogs followed -- warrant at least some kind of explanation. These are annoying, too, but another disclaimer: much as it might be therapeutic for me to pour out, in vivid color, the entire pantheon of horrors that's engulfed the last two weeks, there are personal and medical privacy issues involved, and I have absolutely no appetite for the inevitable armchair criticisms the Internet tends to deliver to people in crisis. So if the lack of details makes this hard to follow, I can only shrug and apologize. 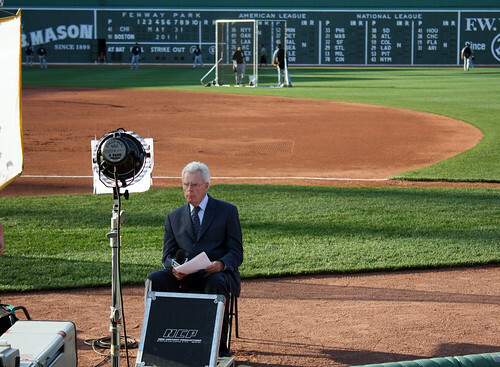 Photos from Red Sox Closing Day 2010 up on Flickr. Slideshow link, si vous preferez. 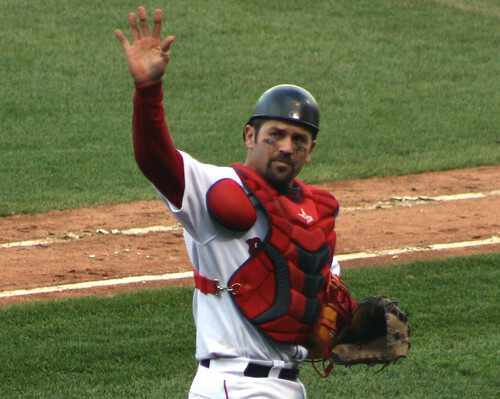 Sometimes, if I look at Marco Scutaro too quickly when I'm at the ballpark, my subconscious wishfully sees Dustin Pedroia. Photos from Monday's game here. Quite possibly the single worst, most boring yet infuriating Red Sox contest in recent memory, and that's saying a lot. I entered the ballpark with half a hope that the Sox might choose tonight to be one of their "bats suddenly come alive" games, especially since they were facing another one of the worst teams in the known universe, the Orioles, and that had worked out well for them with the Seattle Mariners. I had also had a terrible, horrible, no good, very bad day to that point, and was hoping they'd cut me some slack, just for that night. Obviously the division and playoffs weren't even part of the picture -- I just wanted them to give me a break. And, well. You can see how that worked out. The second it was announced that Daisuke was pitching (obviously not something I'd checked before arriving), I replied, to no one in particular, "Aw, f---." I knew right then and there I was in for an evening of tinfoil-chewing. I no longer know what to make of Daisuke. There are starts he seems to have put together the whole, "Don't take 15 seconds to come to the plate every time" concept and the "stop freaking walking everyone for the love of Pete" idea, and then...there are starts like this. Sam and I were shocked by the time the 5th inning finally, langorously, lazily, sloooooooowly rolled around that Daisuke had only recorded three walks to that point. It felt like so much more than that. Dice would continue the torture for another inning and a third, finishing with a total of 6 hits and 5 walks. It's actually kind of a miracle that only 4 of those 11 baserunners crossed the plate, a miracle probably only explained by Baltimore's own ineptitude. What I will remember most about the game itself are popups. Lots and lots of popups. Again and again, with runners on, Red Sox hitters stepped to the plate, went through their glove-tugging, foot-tapping routines, stared determinedly out at Orioles pitching, took MIGHTY RINGING HACKS...and then sent the ball approximately a mile straight up into the sky. There were foul popups, fair popups, popups that drifted into the outfield. The sections around us were busy with a barrage of foul screamers off Red Sox bats. Millar Home Runs were plentiful. When it came to hitting last night, the Sox couldn't win for losing. Daisuke was shaky and tough to watch, but the Orioles never had more than a two-run lead over the Sox. And the Sox just couldn't make up that ground. 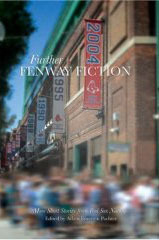 Meanwhile, it's still clear to me that a different milieu is at Fenway these days than there has been in the recent past. A louder, more blue-collar, more enthusiastic crowd, a crowd that took advantage of the chance to sing "Sweet Caroline" because this might be their only chance this season, regardless of what was actually happening in the game. A crowd that even included a few Orioles fans, who made a great show of cheering loudly for the Orioles from the grandstand, which I had to give them credit for -- turnabout is fair play, after all. But that's when another kid behind us in the grandstand responded by standing up and performing an alligator-armed, HIGHLY un-PC imitation of those Orioles fans (who were, I must point out, trying to make "O's" into a multi syllable word). This response was so loud, so exaggerated, and so completely obnoxious that it stopped the O's fans dead in their tracks. It was their notice that they were dealing with a level of fan derangement here that they probably hadn't previously imagined. 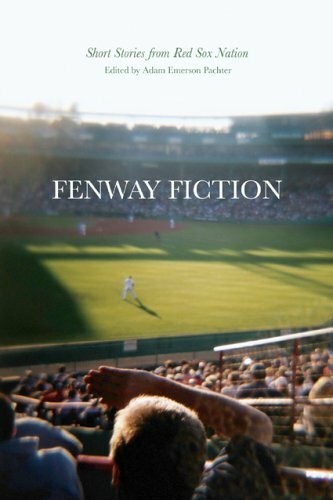 They may have thought they were giving us all a taste of our own medicine, but only until that Fenway denizen proved capable of a response that was so deeply, unabashedly rude that they couldn't help but be gobsmacked, realize they were out of their league, sit down, and shut up. In a way, I was perversely proud. 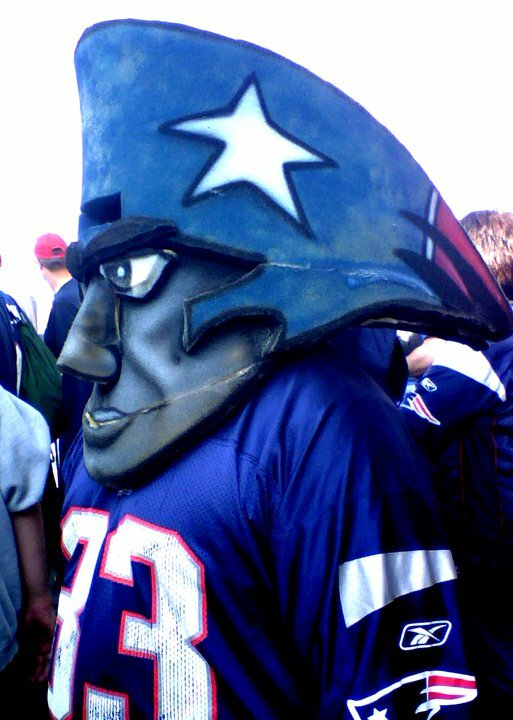 On the way home, though plenty of fans had left before the game finally ground to its miserable close, my D line train was still packed full of r-dropping drunks who happily sang and wisecracked to one another throughout the ride. 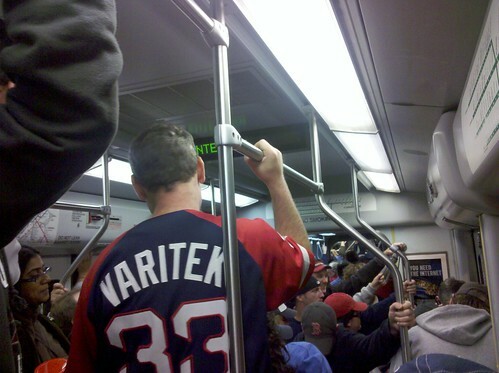 See, these are Red Sox fans. Their defiant swagger despite the team's fate was remeniscent of the "Curse" era. As was the drunkenness. They really haven't "lost their identity" -- they're still as drunk, rowdy, fiercely loyal and sarcastic as they've always been -- I'm still willing to bet many just haven't been able to get into the damn park for most of the last six years. Others may have been obscured among amateur and 'status' fans. But really. They haven't gone away. It's an acquired taste, I realize, and my affection for it probably has more to do with being a born and bred Masshole myself, and feeling at home, than anything really admirable about it. But as with the last game I attended, there was a nostalgia and a coziness about this less-formal Fenway that I may miss a little when they start winning again, and the "Ha ha, Buffay..." crowd returns to be "seen".